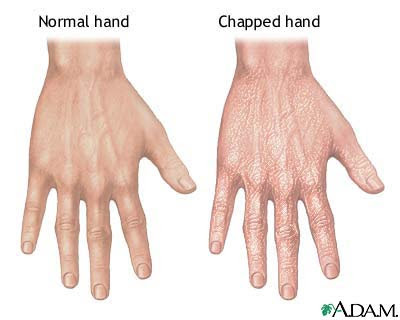 Do you experienced having chapped hands. My husband and I experiences that with our fingers during winter. It is painful, good thing when we came here, my Korean friend gave me this moisturizer that really works.. Hands can become so dry and chapped -- especially during winter -- that they can become very painful. Forget the boxed chocolates this Valentine's Day and opt for something with real heart—a homemade tart. 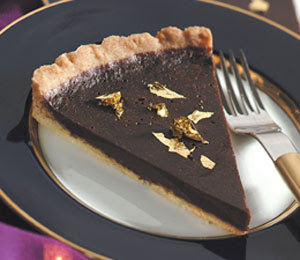 This one mixes modesty with decadence: The filling's a mere 1/2 inch thick, but its taste is truly rich, chocolaty and just plain divine. Love is sweet. So if anyone of you is up for baking this valentine's day, this is the perfect one for you. 1. Heat oven to 350ºF. Melt 1/2 cup butter in medium saucepan over medium heat. Remove from heat; stir in 1/4 cup sugar, 3/4 teaspoon vanilla and 1/8 teaspoon salt. Stir in flour just until well-combined. 2. Press dough in bottom and up sides of 9 1/2-inch tart pan with removable bottom. Place pan on baking sheet. Bake 20 to 25 minutes or until deep golden brown. 3. Meanwhile, melt 5 tablespoons butter in same medium saucepan over medium heat. Add 1/2 cup sugar, cocoa and cream. Cook over medium heat, stirring until mixture is smooth and small bubbles begin to form around edges. Remove from heat; stir in coffee powder and 1/2 teaspoon vanilla. 4. Just before crust is done baking, whisk egg thoroughly into hot chocolate mixture. Remove crust from oven; pour filling into hot crust. Return to oven; bake 10 to 12 minutes or until barely set. (Filling will quiver slightly when tapped at side.) Cool in pan on wire rack 25 minutes. Serve tart warm or at room temperature. Store in refrigerator. Eggplant is very easy to prepare. it is a very common vegetable in the Philippines, you can prepare a lot of menus with eggplant. Baked. Steamed. Sautéed. Grilled. When it comes to eggplant, there are so many options for preparation...and so many delicious ingredients that blend perfectly with this versatile vegetable. For your next meal, how about serving Stir-Fried Eggplant or Eggplant Casserole? 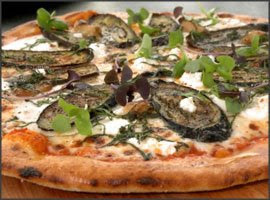 Or whip up a Fresh Tomato Pizza, and top it with slices of grilled eggplant. Just clicked the link guys to get the recipes. Hey guys, 2 more days till Valentines day, are you planning to go out for a dinner date or planning for a hearty meal in your house. You may wanna try some of this Valentine's Day dinner ideas from nubella.com. Show that special someone how much you care by preparing a delicious, home-cooked meal. Herb Crusted Roast Salmon, Linguine with Red Bell Peppers, and Chicken Kiev incorporate many great herbs and spices, but the most important ingredient is love. I personally like the Linguine with Red Bell Peppers recipe, the Chiecken Kiev is good too.. Cooking Directions: Cook pasta in boiling salted water 8-10 minutes or until pasta is al dente. While pasta is cooking, heat oil and garlic in a small saucepan over medium heat, stirring 2 minutes until heated throughout. Remove from heat and add bell peppers. Drain pasta and transfer to serving bowl. Add peppers and garlic mixture. Sprinkle with Parmesan. Season with salt and pepper to taste. Toss before serving.